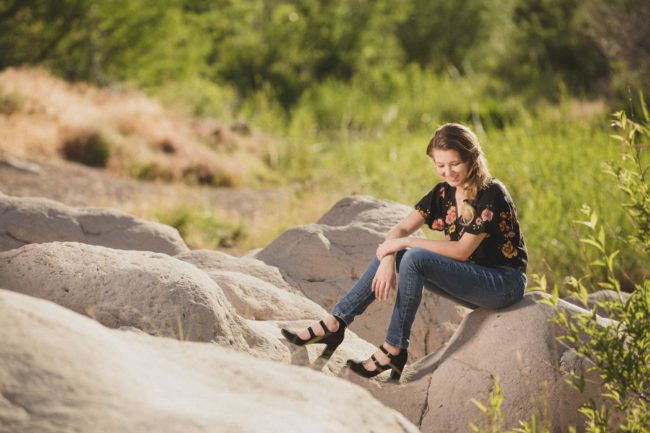 Skye’s high school senior portraits were taken in Chandler and Gilbert, Arizona with an extra drive out to Canyon Lake outside of Phoenix. The music for this slideshow, “Callita Night” by KGB is licensed through Triple Scoop Music. The final image in the collection was a must for Skye and for me. This was Skye’s Pride and Prejudice moment… you girls will know what I’m talking about. Guys, don’t worry about it! View the entire collection on the web here. This was a great Senior Portrait shoot with Cade. My camera needed a bath after this one! For those of you joining my workshop on CreativeLIVE January 14-15, 2017, this is where I will be posting links for the workshop. Keep coming back here for information and links to things and places I discuss on the air. What HARD DRIVE should you buy? Check out the failure rates on the Back Blaze online backup service. Great info HERE. These are spinning drives. For Solid State Drives, I love the San Disk Drives, check them out HERE. My traveling RAID1 drive is made by CRU, called the Tough Tech Duo, which is a firewire 800 connection which I have connected via a Thunderbolt converter on my laptop. (CRU has a new Tough Tech for USBc as well, but USB3 cannot power it, so it has to be plugged in). Find the Tough Tech HERE along with other CRU items, like the small green case of the Tough Tech Mini I talked about earlier in the class. For the new version of the Tough Tech Duo USBc you will have to go to CRU’s website. Those who purchase the CreativeLIVE class can see how this was done in the bonus video. Find out where I am and what I am up to right now! HERE. Teddy Scott is one person you will never forget. I have known him for the majority of his life, and lately, he has been assisting me on photography jobs, so I have gotten to know him even better, because you really learn a lot about someone when you see them on the job. However, there is something that will tell you much more about a person than how they treat their mother… that’s how they serve others without thought of reward. Teddy was the first to volunteer to shave his head when my little friend Trajen contracted cancer and was undergoing chemo therapy. I already had a bald head, so I don’t count, but many people shaved their heads to give Trajen the courage to shave his. Teddy lead the charge! Leading another charge, this month Teddy finished his Eagle Project, which was to organize people throughout his church and community to make boxes and boxes full of Teddy Bears to deliver to Phoenix Children’s Hospital to be given to the children there who are fighting cancer and dealing with other serious illnesses. Trajen was one of those little kids. He touched us all (still does, thankfully – his was a successful battle) and he obviously had a lasting effect on Teddy. Now Teddy is working to bring a little joy to others just like Trajen, who have tough days ahead. When you have run out of things to pray about, or places to serve… say a prayer for the families who are fighting against the effects of cancer and other illnesses and look for some way in your community to bring a smile to their faces. Teddy’s Bears will go a long way to that end. So, yea… he’s kind of a big deal!